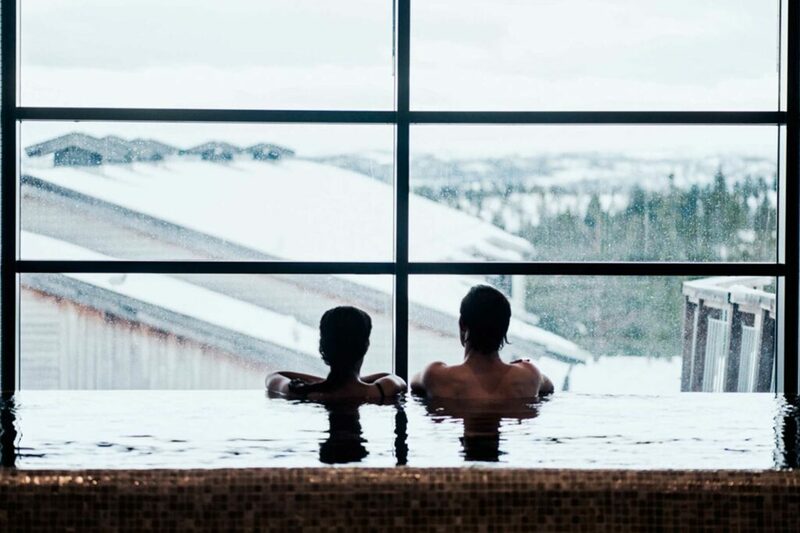 Spa at Norefjell is the place for those who want wellness! Norefjell Ski & Spa has won several awards and awards. Experience beautiful views of Gaustatoppen on a clear day. Guests booking at least 50 minutes of spa treatment will receive a free entrance to the Wellness Spa throughout their stay. Those who book 20 mins get entrance for one day. Other guests can buy entrance at free capacity. On Saturdays until 6 pm, the wellness area is reserved for guests who have treatment during their stay. We encourage you to book your spa treatment in good time. Wellness Spa, 7th floor. Price NOK 250, – Monday to Thursday and NOK 350 Friday through Sunday. Spa treatment, 6th floor opening hours Monday-Friday 12-20, Saturday 10-20, Sunday 10-16. Spabar; Friday 16-21 and Saturday 14-21. Own opening hours during school holidays.